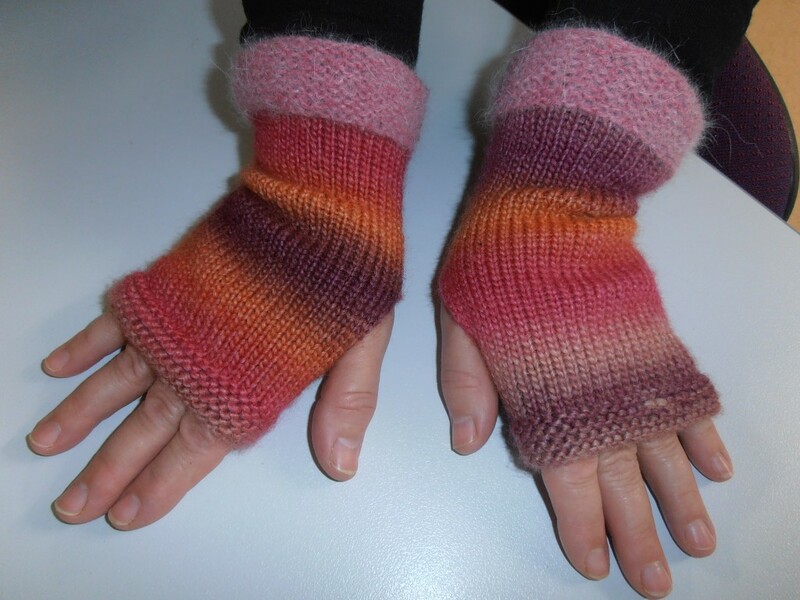 Debbie has knitted herself a beautiful pair of fingerless mittens to keep her hands warm in the wintertime. She had a small amount of lovely vintage Patons ‘fuzzy wuzzy’ yarn, which is 55% angora and 45% wool, leftover from another project which has been transformed into the soft, luscious, fluffy pink cuffs. By Naomi.